Style Up with Mixed Metal Accents! Mixing metals? The once considered taboo is a thing of the past! Whether it's your jewellery or your interior features, its time to throw out the old ways and start blending the elements! This year is going to be the year for experimental decisions and to be honest, it makes a fun change from the minimalistic Scandinavian style trend that captured everyone’s attention last year. 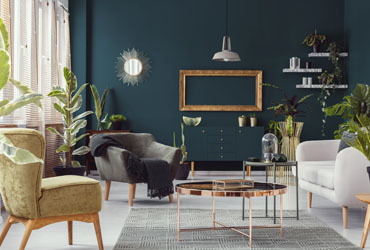 Mixing metals within a room favours the more eclectic style, incorporating a mix of textures, hues and finishes which, despite what you may feel, shouldn’t be so intimidating. Accents of metals that vary in hue and texture add sophistication, character and depth to any interior. With unlimited boundaries for mixing and decorating, we’re sure you can easily incorporate this trend into the rooms of your own home, but just to be safe; here’s our method to the madness. The first thing you need to consider are the different tones of metals. Before you start mixing warm and cool coloured metals, here’s a tip for understanding what colours pair seamlessly with one another. For example, warm metals like brass, copper and gold pair well with warm hues like browns, reds and yellows. Cool metals such as chrome and silver pair well with cool hues like blues, greens and violet. Neutral metals can be mixed with both warm and cool hues. If you’re starting with a neutral palette (think white walls with simple neutral colour shades), adding varied warm tones in a variety of finishes will ensure glow, colour and character! Choose your favourite primary metal to be most prominent within your interior. 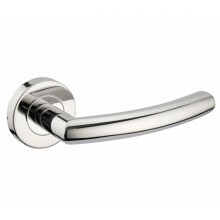 This might be chrome and can include two toned design features such as duo finish chrome door handles, polished chrome plated hinges and satin chrome cabinet handles. Incorporate a chrome mirror to match the reflective feel of metallics as you want the eye to notice the prominent metals first and then swiftly switch focus to your accent metal hues. Blend the cool tone of the chrome with a warmer tone such as copper. A modern chrome finish kitchen will look fantastic with accents of copper which can be incorporated in light fixtures, copper cupboard handles and maybe even a copper leg table with chairs. 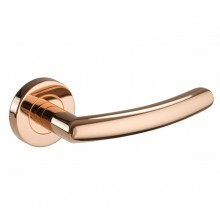 The hue of the copper design will immediately add warmth and glow to an otherwise cold space. Other warm hue metals such as brass, gold and rose gold can be considered for your interior colour palette, especially for fixing into a light and airy space. Maybe add accents of your chosen metal in small features such as candle holders, a candle tray, flower vase or a potpourri/key dish. Varying the textures and finishes of your metal features can really define a space and elevate the overall experience of your design by giving it a stylish depth. 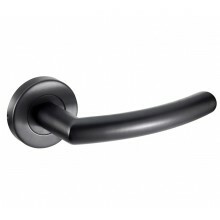 Knurled hardware, such as cabinet handles and door handles, offer a stunning sleek touch for a modernistic design. The polished brass knurled handles simulate style elements of Italian designer Versace, emphasising luxury with its bold, sultry aesthetic. The effect of brass and matte black accessories truly transpires as luxurious and striking in designer interior photos. Another option to consider for adding texture to a room could be in the form of larger furnishings like a textured rug with flecks of the metal hue in the fabric or cushions that offer both comfort and visual weight to your home. By placing opposing smooth and rough textures directly together, the rough texture will stand out and draw the eye towards it. Distance metal textures to achieve a subtler visual weight. We understand that interior design planning can be time consuming, so we offer a variety of high-quality products that excel in both aesthetic and performance to help make your decisions easier. Some rules are made to be broken, and we’re glad the old taboo of mixing metal is one of them! Are you ready to style up?